Rep. Keith Ellison (D-MN) resigned his post at the Democratic National Committee (DNC) Thursday after he won his race for Minnesota attorney general despite allegations of physical abuse from a former girlfriend. DNC chairman Tom Perez announced Ellison’s departure and praised him in an email to supporters. "Keith's decision means Minnesotans will have a full-time champion fighting for affordable health care, a fair economy, and opportunity for all," Perez wrote. "His tireless service as deputy chair enabled us to make substantial progress in rebuilding our party and rebuilding trust with our grassroots." Ellison was accused in August of domestic violence against his former girlfriend Karen Monaghan. He has denied the allegations and an investigation by the Minnesota-Democratic-Farm Labor party claimed they could not substantiate the claims. When asked about the allegations by CNN’s Jake Tapper, Perez said that Democrats "should always take those complaints seriously and we do, and that's why an investigation was conducted." 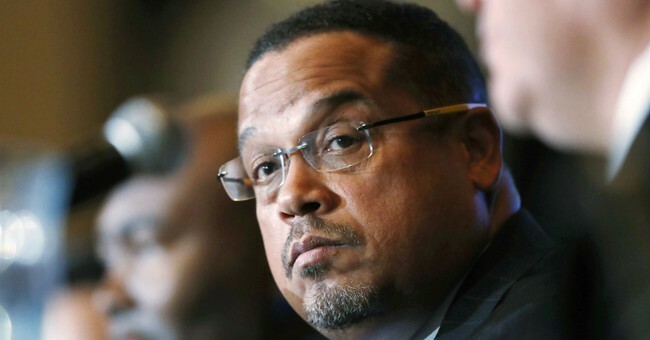 "I think Keith Ellison's ex-girlfriend deserves to be heard, and deserves to be treated with dignity, and deserves to have a fair and full investigation, and that's exactly what has been done," he added. "And I also believe that when women succeed, America succeeds. And the agenda of this administration is an agenda that's making it much harder for women to succeed."